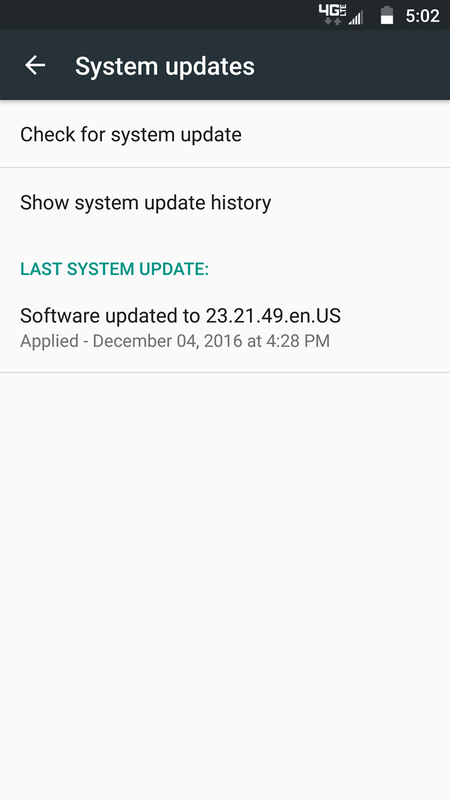 Since Android 7.0 has been out for a couple of months (and Pixel phones are getting 7.1.1 starting today), the update to a year-old operating system might seem like small potatoes. 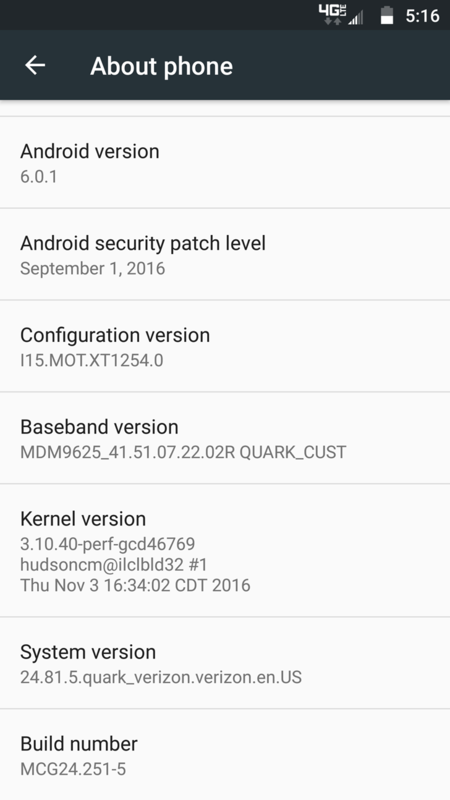 But the Turbo was on the initial list of Marshmallow recipients that Motorola published way back in October of last year, so it's good to see that commitment honored even if it is late. 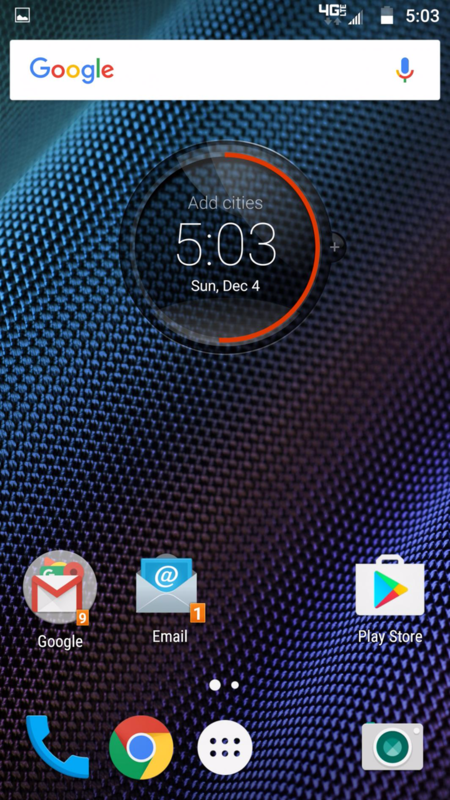 (And it is very late - the newer DROID Turbo 2 received Marshmallow in February.) Oddly, Motorola's support site isn't listing the newest update, or even the previous one. 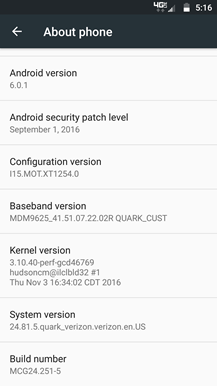 The update is version 24.81.5 in the internal nomenclature of Motorola/Verizon, and the AOSP security patch is from September 1st. For users who've unlocked their bootloader with the Sunshine tool or something similar, XDA members have already posted a ROM file that's flashable via custom recovery, along with an OTA file for those who prefer to stick to stock software. 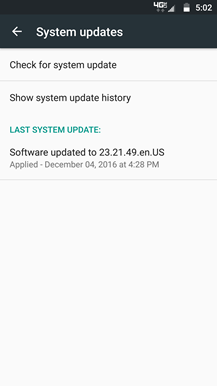 Take note: a greater than normal amount of users seem to be reporting bricked devices after the update, possibly related to incompatible manual file flashes via fastboot. If you're rooted, it seems safest to flash all the associated new files at once. 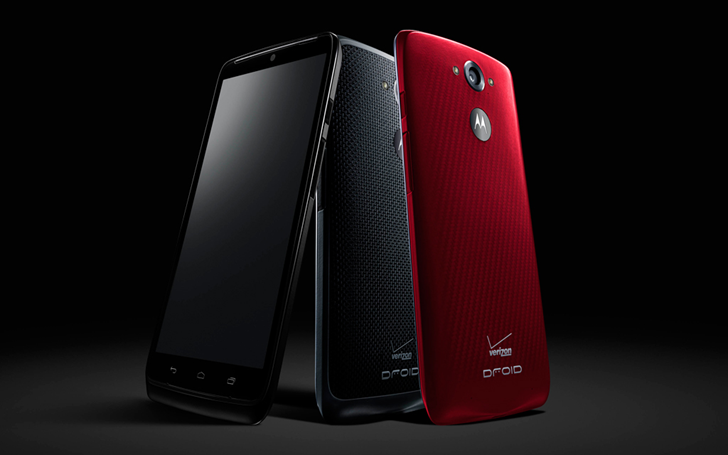 Verizon's support page has been updated with the official documentation for the OTA. There's nothing particularly surprising inside, but Motorola's proprietary Ambient Display app does get a version bump.